One could argue that without Carolina Panthers’ running back DeAngelo Williams, NFL players may have never donned pink on the gridiron in support of Breast Cancer Awareness Month. Williams’ mother, Sandra Hill, was a two-time breast cancer survivor who succumbed to the disease this spring. All four of Hill’s sisters also lost their lives to breast cancer. 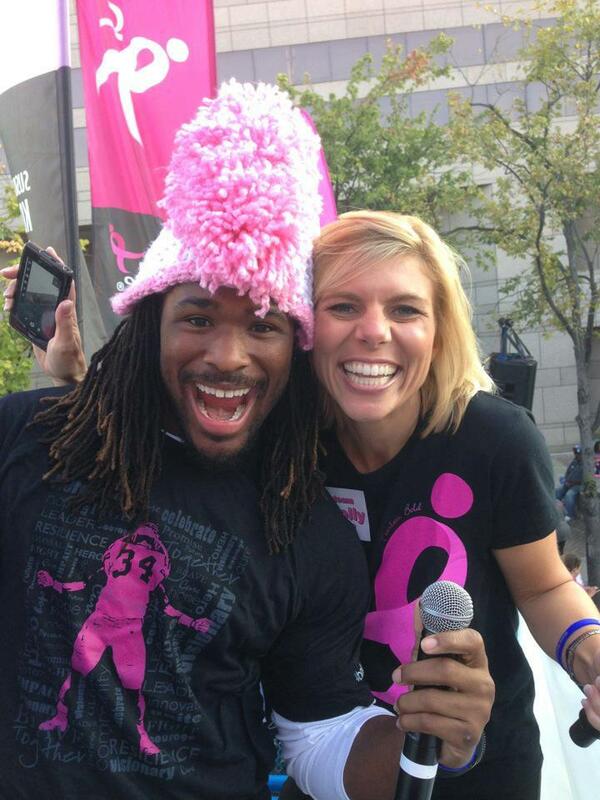 Williams, who began to advocate for breast cancer awareness when his mother’s breast cancer recurred in 2009, went on to be an instrumental player behind getting the NFL to support breast cancer awareness each October by having players wear pink cleats, socks and ribbon emblems on their uniforms, as well as decorating stadiums nationwide with pink-themed signs. The 18th annual Susan G. Komen Charlotte Race for the Cure will be Oct. 4 at Marshall Park in Charlotte. Online registration for this year’s race will be open through Oct. 3. Q: What would you want people to know most about the Race for the Cure and why it is it important to get involved? Registration options include joining as an individual, joining Team Molly … Williams Warriors (or another team of your choice), or donating to an individual or team of your choice. As of distribution time, WBTV’s Saturday weather forecast is very favorable, with partly cloudy skies and high-temps of 72-degrees. WBTV is a major partner with Komen Charlotte for the annual Race for the Cure. Last year’s race attracted an estimated 30,000 people to uptown Charlotte, with over 800 teams raising $1.5 million. On the main stage see the exclusive DJ Racecar, a custom racecar that transforms into a DJ booth. Meet NASCAR’s Taylor Stricklin and other celebrities including WBTV’s Molly Grantham, if her baby due on Oct. 3, can wait. Enjoy the Harris Teeter Kids’ FunZone and participate in the FunZone t-shirt design contest.